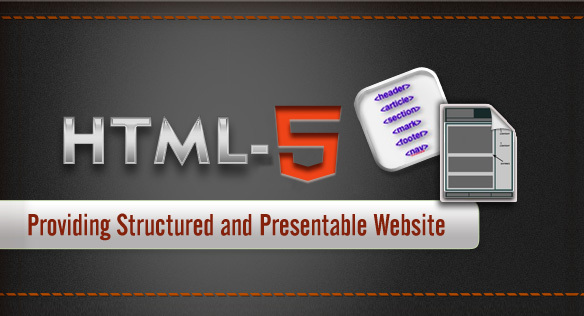 HTML5 that is the fifth revision of the HTML standard is defined as a markup language that is used to structure and present content for the World Wide Web. It is also called a core technology of the web that has been introduced by the Opera Software. This language works for the improvisation of the content taking help of the latest multimedia at the same time keeping it readable for humans and compatible for computers and related devices. Enhanced Role in Web Apps: Initially, the language was confined to run on browsers and mobile applications. But, the newest HTML5 is capable of handling data even the dedicated application is not connected to the internet. Geo-location works with the ability of detecting the location of the user taking support of rich media support. As well, implementing audio and video elements has become easier with it. More Accessibility and Consistency: As HTML5 is capable of comprehending different and complex technologies so it appears with detailed comprehensibility of the structure of a page. And, with the enhanced knowledge of the structure of a page, designers can gain more consistency in terms of coding a webpage on one site as compared to the other one. Better Semantics: Using HTML5, it becomes easier for developers to view that which part of the webpage is navigation, header, footer, etc. The reason behind this is that there are particular and specified tags for everything and their meaning and purpose are clearer in the entire format. With these standardized codes, semantic value of the webpage can easily be increased. Client-Side Database: All of us are aware of the fact that cookies are used for tracking unique user’s data but also have certain disadvantages. With the help of HTML5, the size of these cookies can be reduced by using two different storage of this language including local Storage and session Storage, this process appears with the measurable impact on the responsive time of users. Accomplishing Web Application Requirements: The newest HTML5 offers access to various useful applications such as discussion boards, wikis, drag and drop tools, etc. Besides it, this tool is capable of providing ample solutions in the direction of making your site cache; it means to say that it allows your developer to specify a particular file that needs to be cached on the browser. This process supports users to refresh their desired page even if they are offline and the page will load accurately. So, this offers benefits like faster loading, offline surfing and minimizing the load on the server. Thus, all you need is to Hire HTML5 Developer and avail geo location support, client-side database, improvised web-applications, offline application cache and on the top of it offers more dynamic, interactive and compatible website. Posted By: CSSChopper Team- Hire HTML5 Developer from #1 PSD to HTML5 Service Provider.